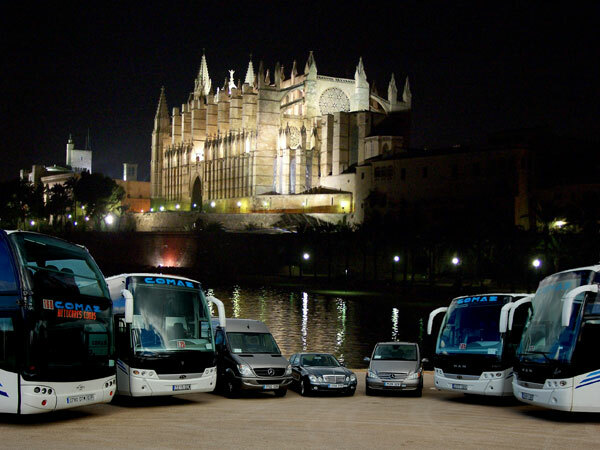 We have the best selection of English speaking taxi drivers to offer you the best tailored tours and transfers from the port of Palma, airport, hotels, etc. Please note that in Mallorca the most of the Mallorca’s taxi drivers can not speaking English so the best way to guarantee an English speaking driver is to book in advance, you need to know also that in Mallorca all the taxis have the same capacity (driver+4 pax) so if you are a group of more than 4 pax you will have to take more than 1 taxi or book in advance our private vehicles (vans and minibuses are available at the Palma airport or Palma port ONLY if you book in advance). Departure from the pier, you will be driven through the Paseo Marítimo of Palma, Palma’s Cathedral, Almudaina Palace, historic downtown area, City of Palma, patios of Palma, Paseo del Borne, Plz.Weyler, Rambla, continuing through the city center to the bullring. We will continue the tour through the modern buildings up to the Castillo de Bellver. Time to visit the Castillo de Bellver and enjoy the panoramic views over the city of Palma de Mallorca. Finally, you will be able to choose between being brought back to the historic city center or back to the cruise. Price per taxi: 240 € - NOT INCLUDED: Cathedrale entrance fees (7€) nor Bellver’s Castle entrance fees (4 €). Taxi capacity: 4 pax. Our taxi driver we will be waiting for you with a sign with your name. Hello, we are 2 people. Could you please let me know the availability of your English speaking Driver for 2nd and 3rd May? 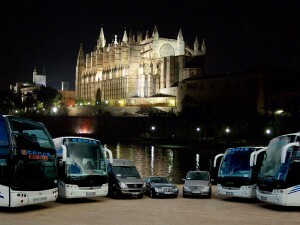 We wish to visit Valldemossa , Soller and alcudia , Formentor in these two days. Please send me rates also. Hi there — we are 5 adults and 2 children interested in the Drach Caves your option with a private minivan and English speaking driver. Hi. We are 4 persons and need taxi with English speaking driver on June 4th,2018,for 4 hours,as we arrive by cruise ship. Please let me know the price. yes, we have availability, I have sent to you taxi tour rates. Hi,Could you please let me know the availability of your English speaking Driver for Nov 9-10? We wish to visit Valldemossa /Soller and also cover some of the beautiful beaches in these two days. THERE ARE TWO OF US COMING IN ON EPIC ON 05/20/17 AND WE ARE INTERESTED IN A BEACH TOUR. WHAT IS THE BEST BEACH IN YOUR OPINION NOT TOO FAR FROM THE CRUISE PORT? WE LIKE NATURAL BEAUTY BUT ALSO CONVENIENCES LIKE FOOD AND RESTROOMS. ACCORDING TO YOUR WEBSITE, THIS WOULD REQUIRE 4 HOUR TAXI RENTAL WITH ENGLISH SPEAKING DRIVER AT 200 EUROS? Hello, we are a group of 7 persons, we’ll come in Majorqua from 27th july to 31th July. Our hotel is in Palma; so we want to visit the best secret beaches of the island (calo des moro, Es Marmols,Cala S’Almonia, Sa Calobra…)during 2 days 28th & 29th of july (all days long). How much your best price for booking an english speaking official guide for our group. We want taxi for 4 persons for 6 hours. Could you please let us know the price for the same?